A constant seal between the threshold cap and the door bottom is required to obtain performance from an exterior door unit. Only by obtaining this seal can air and water infiltration be prevented. However, “Real World” conditions, either during door unit assembly, door installation, or throughout the subsequent life-cycle of the door, often lead to a poor seal. 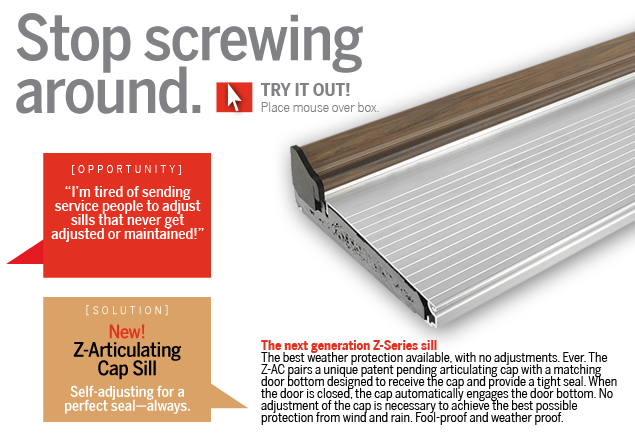 Comprised of a patent-pending articulating sill cap and a dedicated door bottom, the Z-AC automatically self-compensates +/- 1/8-inch to create the perfect door seal under any conditions. 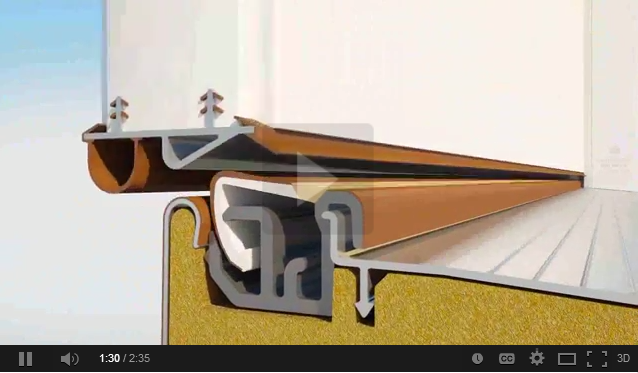 The Z-AC helps overcome most problems associated with either inconsistency of the rough opening or margins between the sill and the door. Moreover, the flexibility of the sill cap materials and spring design allows the cap to adjust independently over the length of the door, resulting in a perfect seal even when one end of a 3/0 door system is under-compressed and the other end of the door system is over-compressed. For significantly tight margins, interchangeable bases are offered with the Z-AC System. Comprehensive Independently Certified Testing has shown that the Design Pressure (DP) ratings of door units that utilize the Z-AC are improved by an average of 20% over systems which use standard sills, sometimes even doubling the DP rating depending on the panel and other components. Even problematic French Door applications witnessed up to a 15% improvement, with all French Door systems tested in conjunction with the Endura Multipoint Astragal achieving a rating of DP40 or higher.